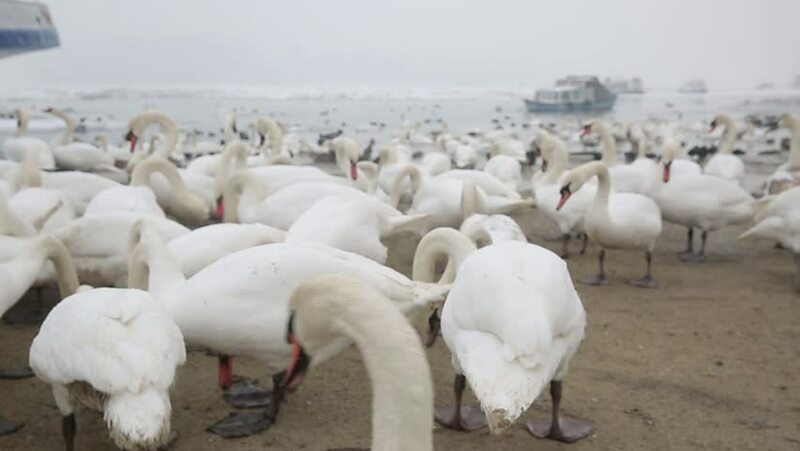 hd00:28Flock of swans feeding on the frozen river Danube . 4k00:30A flock of seagulls gather on the beach in the early morning sun. In 4K UltraHD. 4k00:21Feeding of swans and ducks against the background of the city.